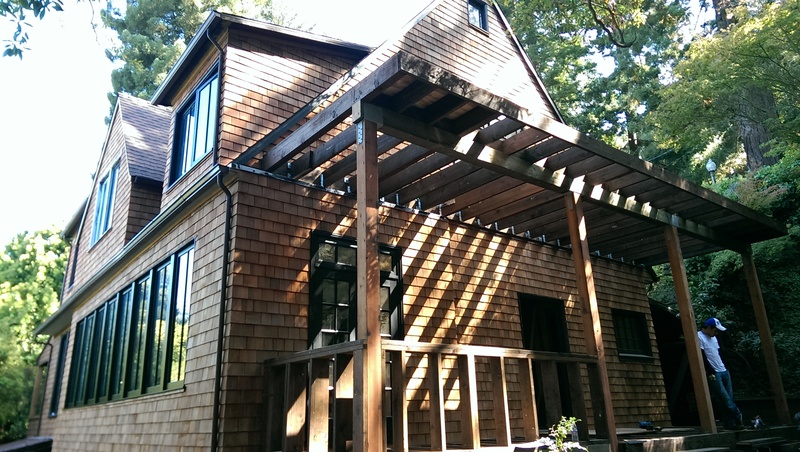 We have been Featured in this month’s Journal of Light Construction for our tapered LVL roof system. 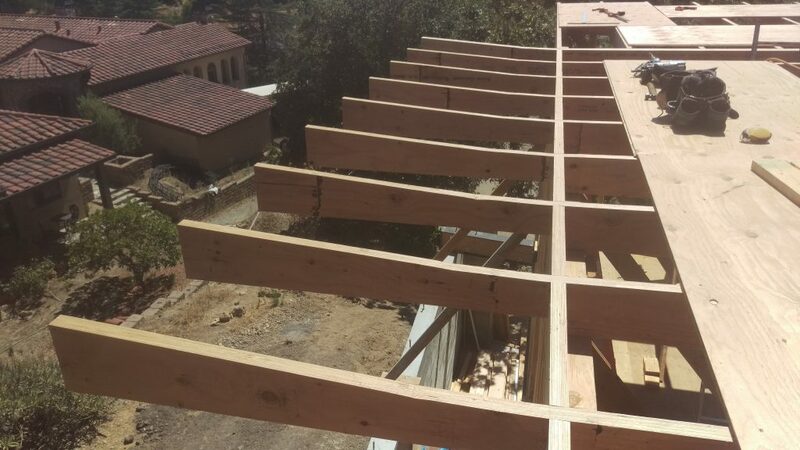 The article outlines the use of Laminated Veneer Lumber to build a roof in order to create a TRUE flat roof where the roof perimeter is completely level. 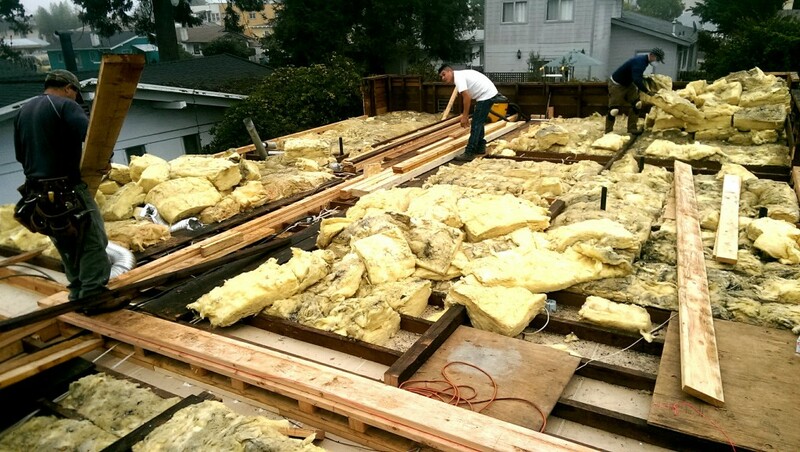 On most flat roofs, the roof perimeter slopes to allow for roof slope for drainage. 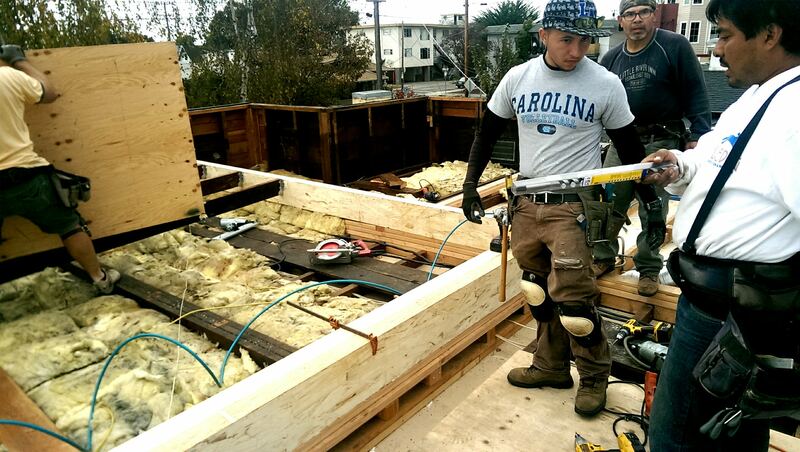 The LVL flat roof allows a level perimeter with the LVLs being cut down for drainage within the plane of the roof. 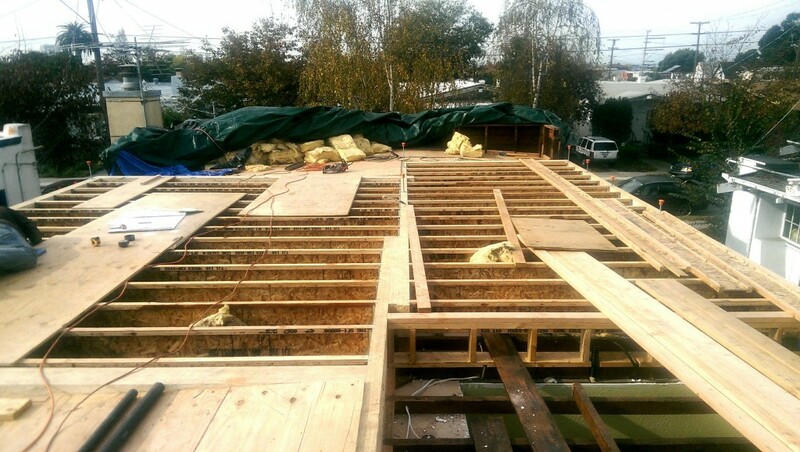 The LVLs are laid along the top plate. 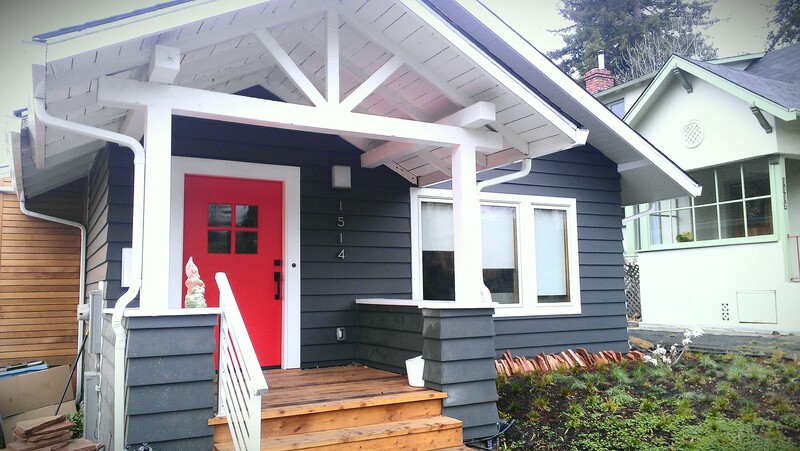 The return slope for the gutter can be clearly seen. 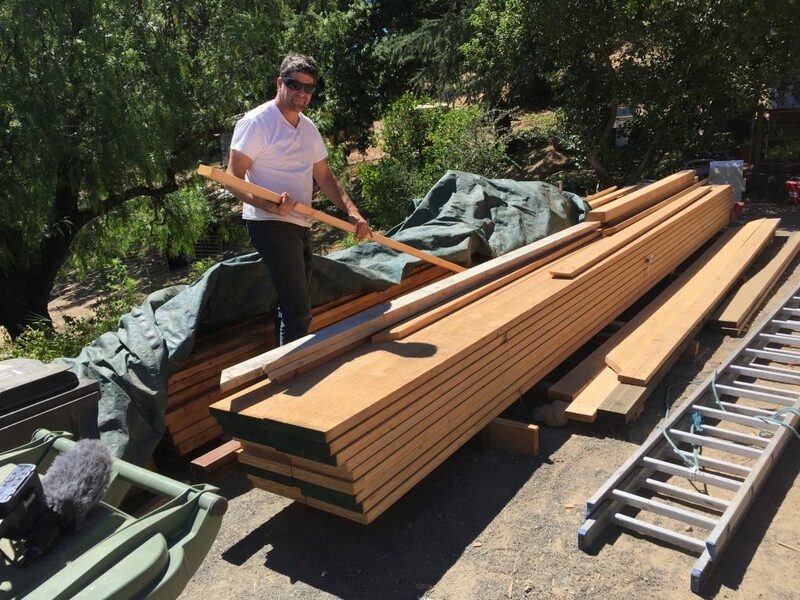 Once laid out, they are conventionally sheathed. 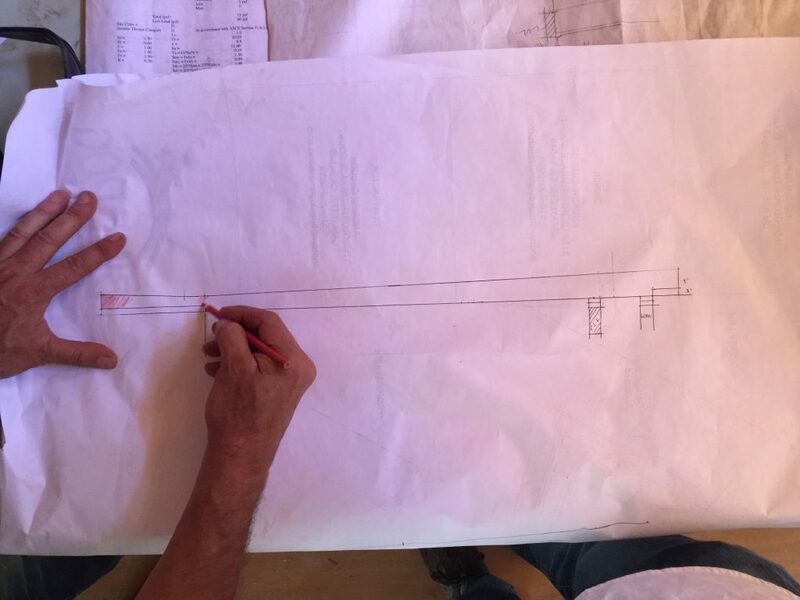 Each LVL was individually calculated and drawn out, before cutting. 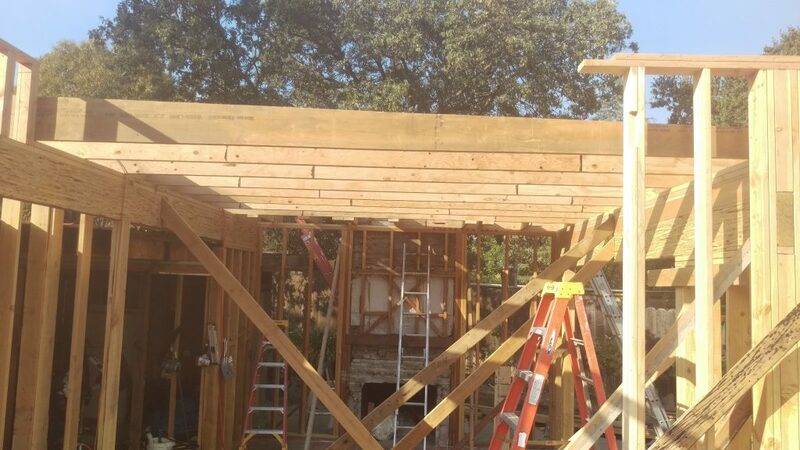 house addition and remodel – we are framing the last room on the bottom right, the living room above the garage. 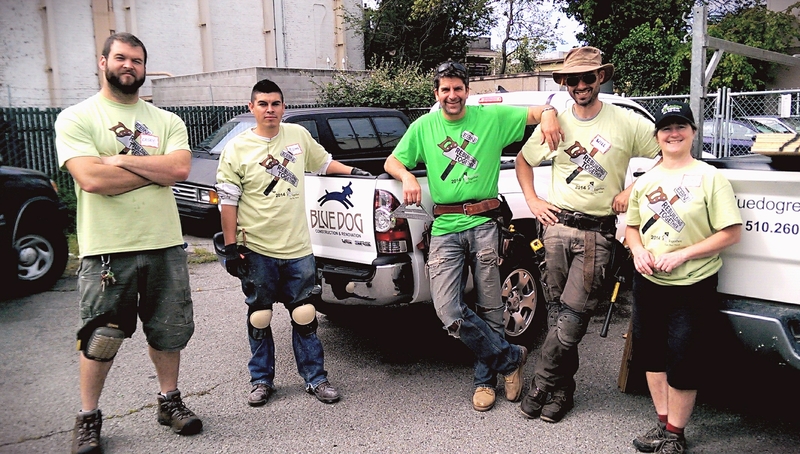 Blue Dog Construction and Renovation was awarded “BEST GREEN CONSTRUCTION COMPANY IN THE SAN FRANCISCO BAY AREA 2016,” BY BUILD! 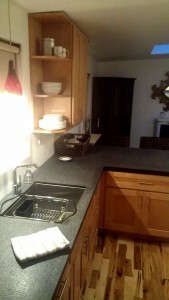 Cabinetry and shelving is custom built. These are custom closet doors that we had made by Will Dyckmann who is one of our resident finish carpenters. 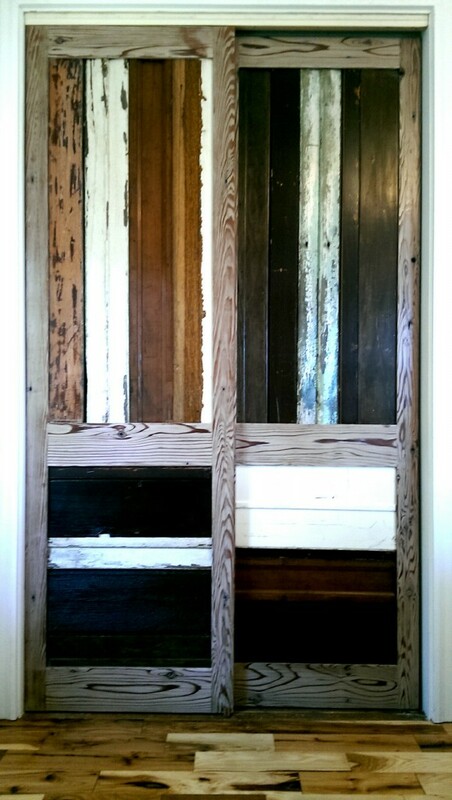 they are made entirely from reclaimed wood and sealed with a polyurethane finish. 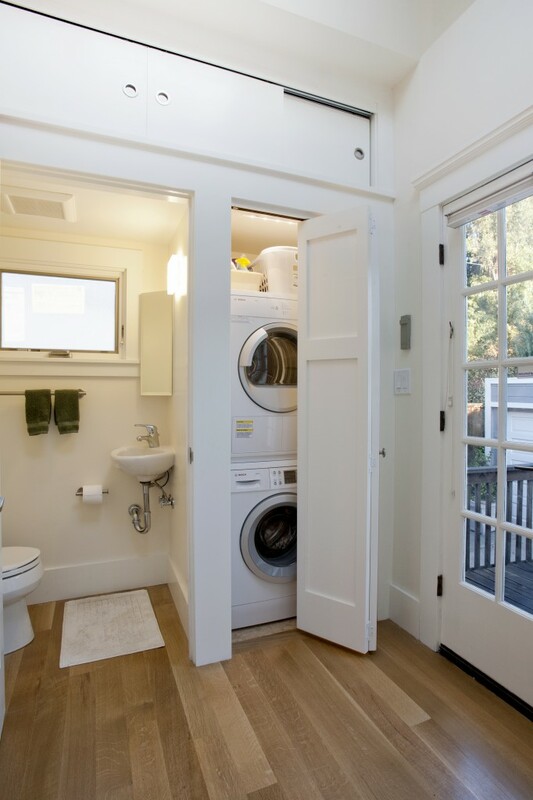 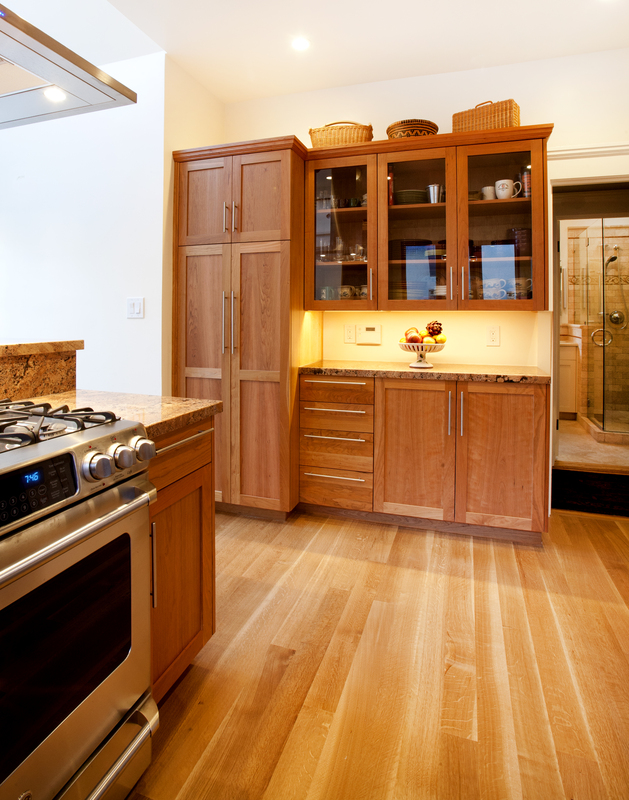 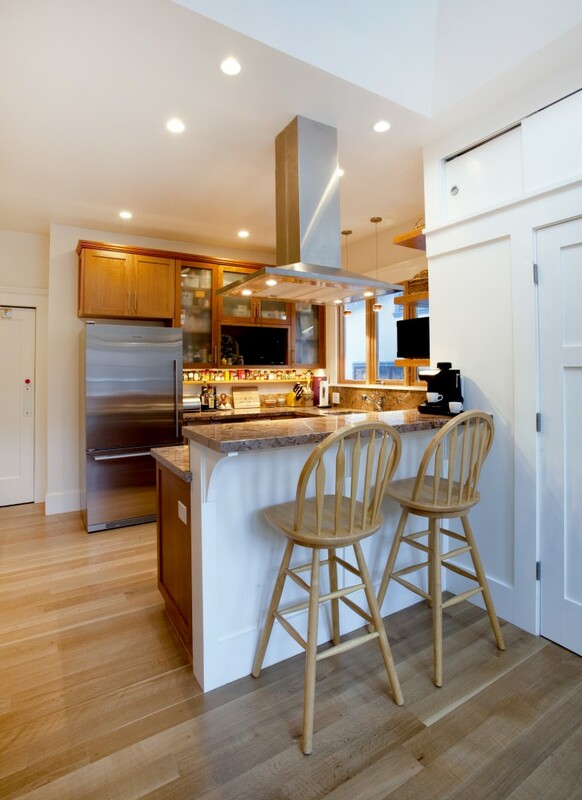 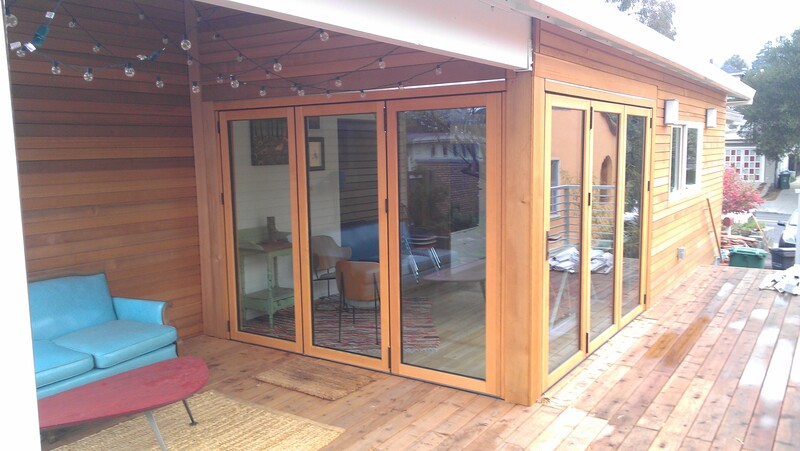 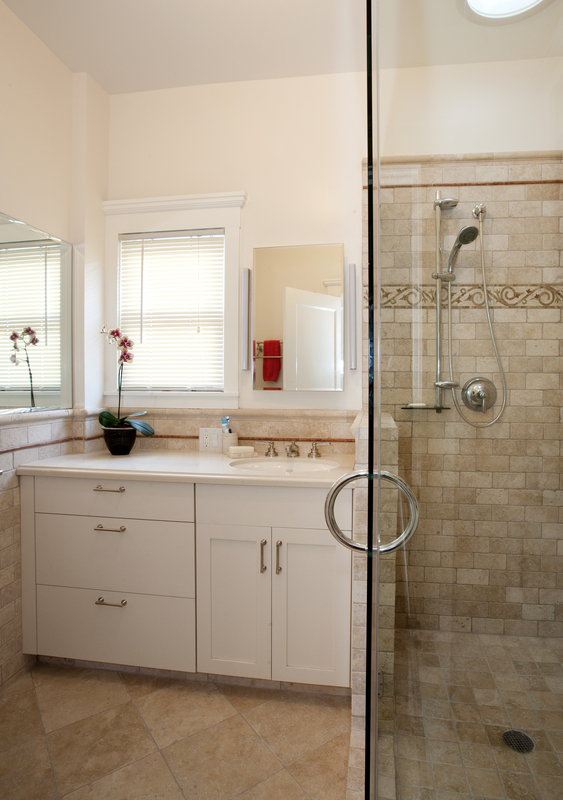 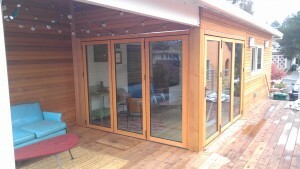 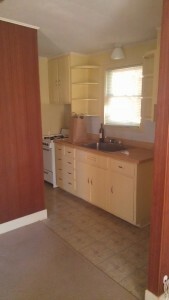 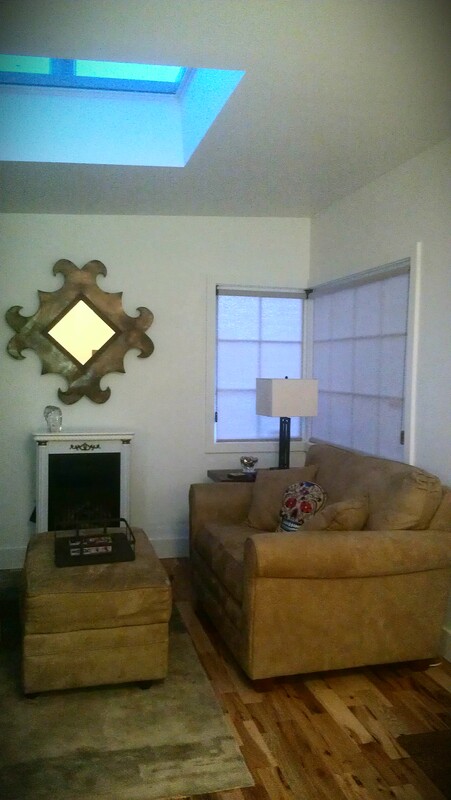 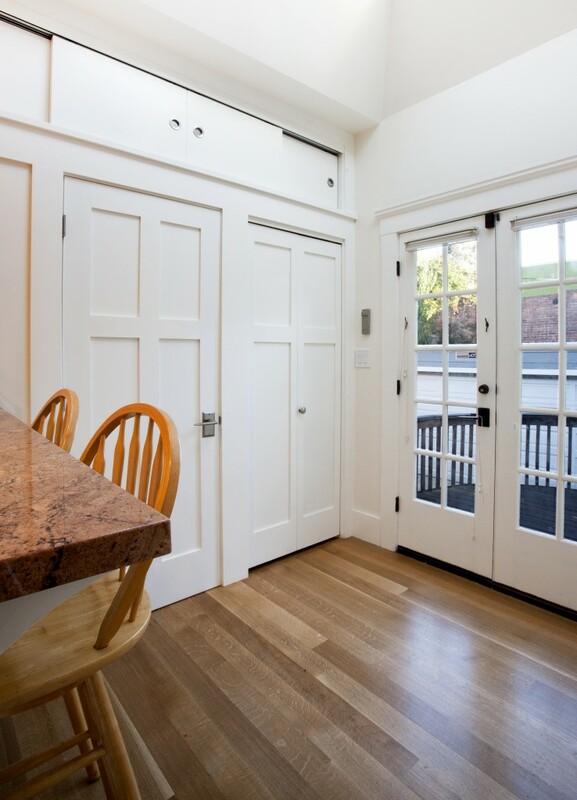 Each door is 24″ wide by 80″ high. 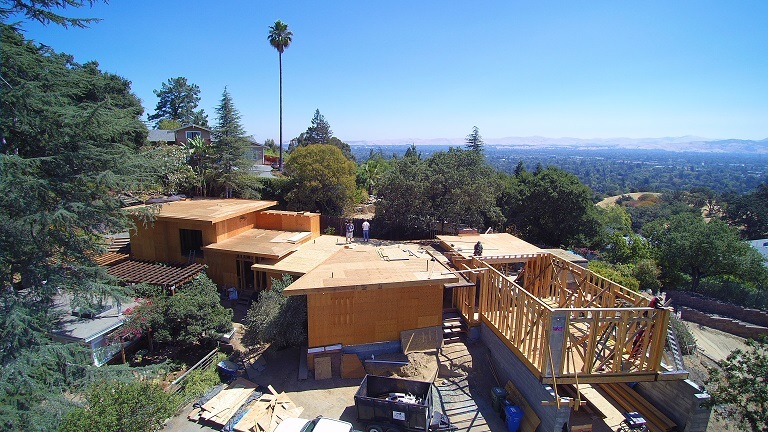 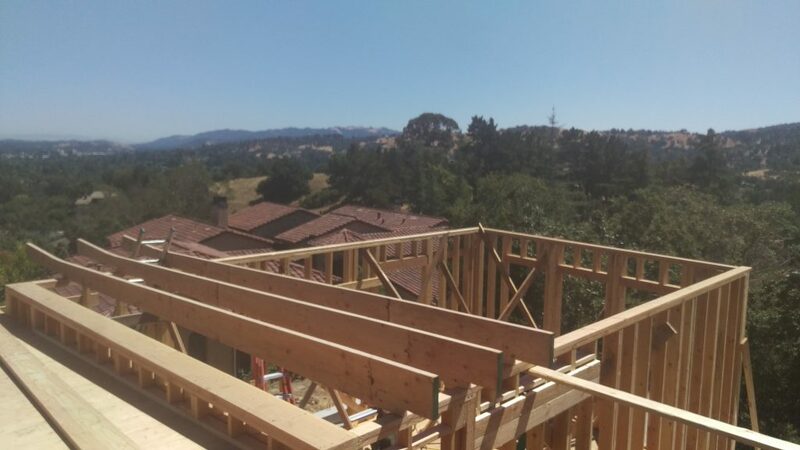 Update on House in Berkeley Hills. 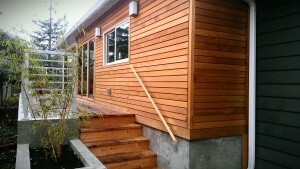 The rough carpentry on the new deck. Blue Dog volunteers for rebuilding together! On Saturday, April 26th, several of my crew and myself volunteered as part of National Rebuilding Day and worked with Rebuilding Together to renovate a center which teaches art to disadvantaged kids in Oakland. 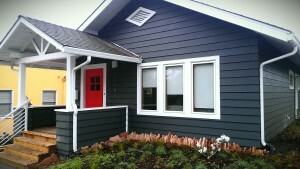 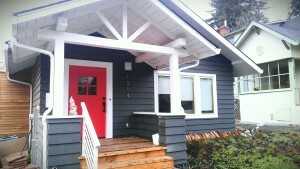 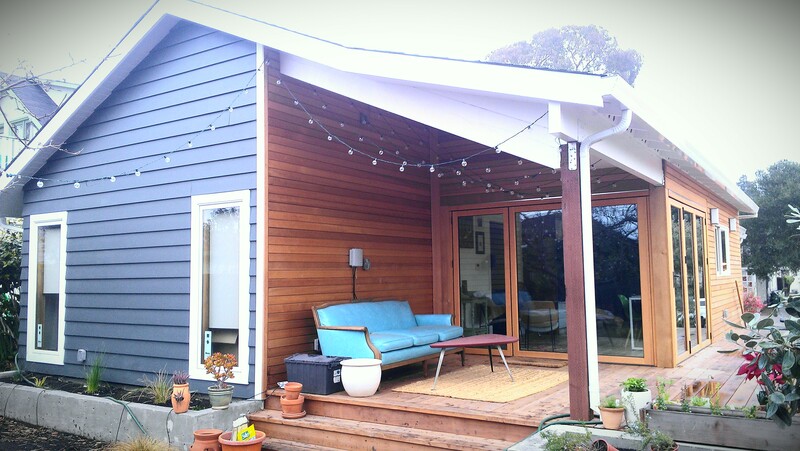 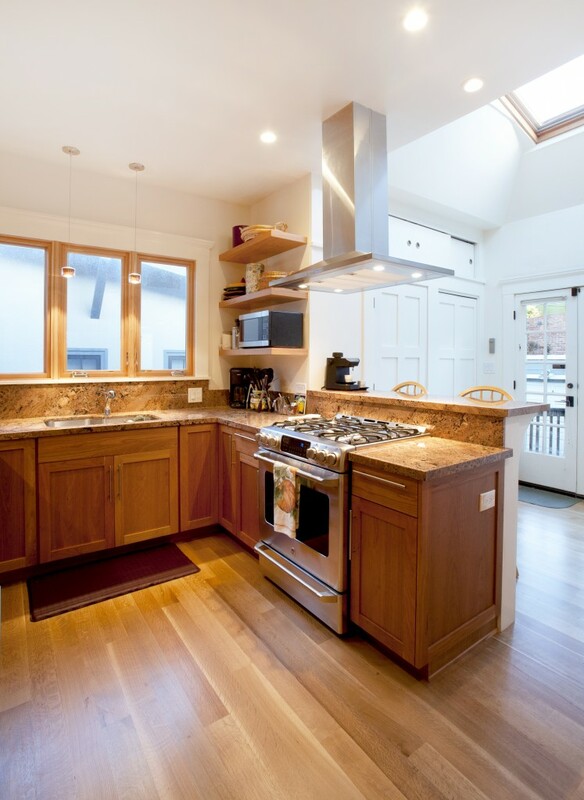 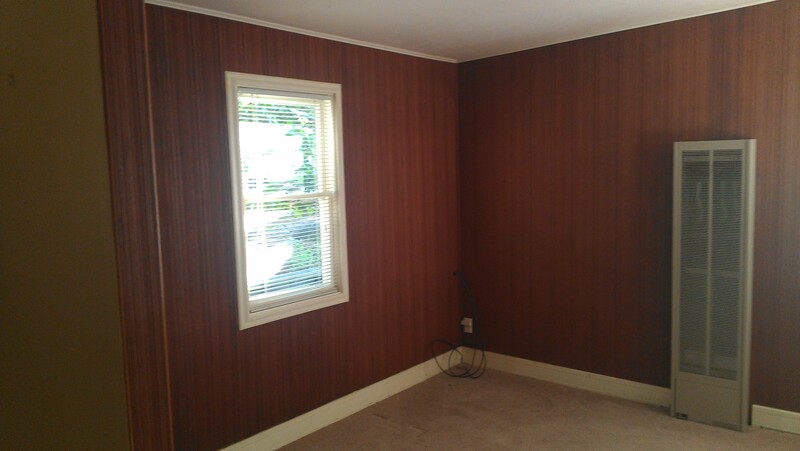 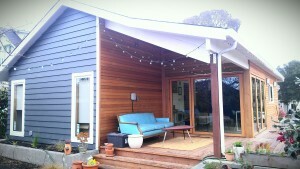 The remodeled house on MLK Jr. Way passed the final inspection with flying colors. 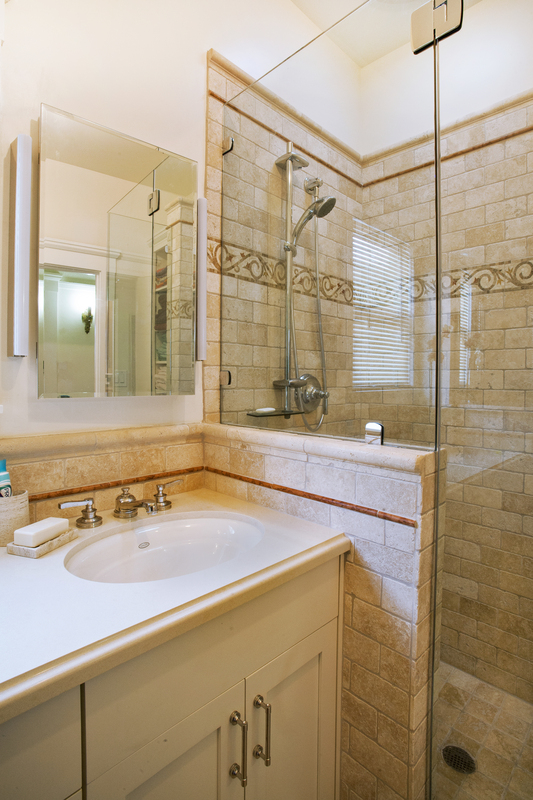 It features state of the art mini-split heating and cooling systems as well as a number of energy saving equipment. 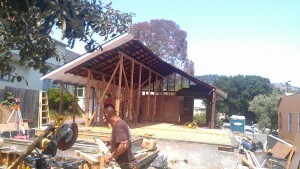 The first shot shows what the house was taken down to before the rebuild began. 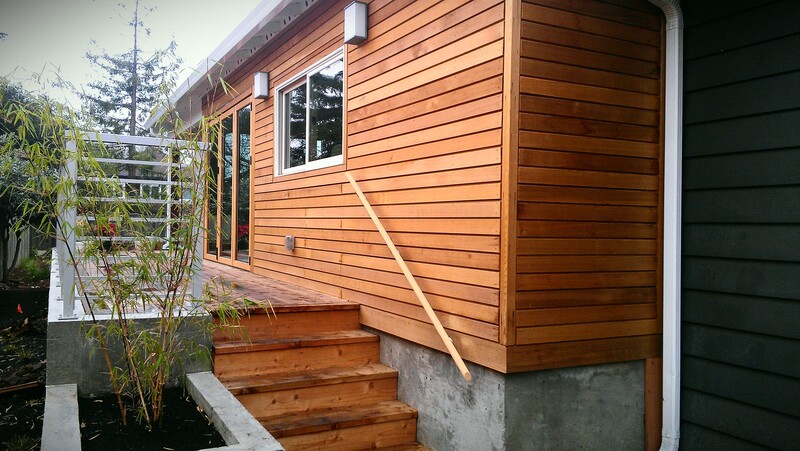 House remodel showing the back deck and cedar siding.